Once you’ve setup your console the first time, you’ll be ready to receive a chat. 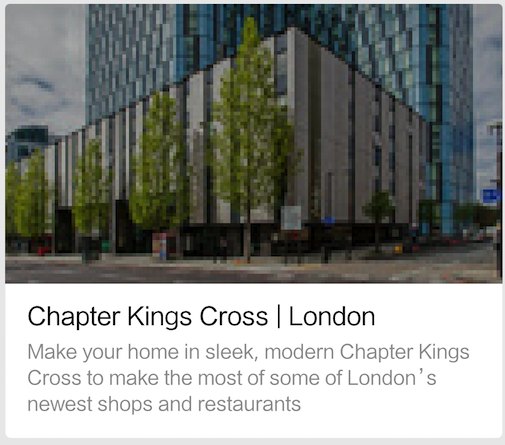 if you’re not in the console window, a pop-up browser notification from Chrome. Click the Next Chat button to claim the next available chat. When you have a user waiting, you’ll see a button beside the Next Chat to view a list of who is waiting. The wait list view provides more context and allows you to select a specific user to claim next. Only one agent can claim a new chat. By default the wait list is sorted in order of who has been waiting the longest. One situation in which you may wish to reverse sorting is, if your organization does not offer 24/7 support, at the start of your organization’s first daily shift. Users who have messaged, for example, overnight and already received an offline greeting letting them know not to expect a quick reply, are not as urgent as users who message during your online hours and receive your online reply letting them know you’ll be right with them. If you have dozens of offline waiting users at the start of the shift, consider reversing the sort order until you’ve caught up with the overnight back log. One of the most crucial service goals is to get a quick first reply to the user. You want your customers to know that you are “on it” and that they can relax and put their phone down. If your organization has setup online/offline auto-replies for WeChat or Facebook, your user will have already received a reply to their first message letting them know that agents are online and to expect immediate assistance. The active field below in blue is editable. By default it will show your the username from the customer’s channel (eg. WeChat or Facebook). If you choose to edit the user’s name, the channel username is preserved next to the channel name (red box). Note that WeChat usernames are not unique and can be changed by the user at any time. If you are using multiple WeChat or Facebook accounts, the nickname of the Account is displayed in parentheses after the channel name. Decide as an organization what kind of tags and comments you want to make for customers that will help you deliver better service. Get in the habit of quickly reviewing these profile details at the start of conversations so you don’t miss any details or make your customer repeat information. For web chat users, this location is an approximate location based on the user’s IP address, if known. 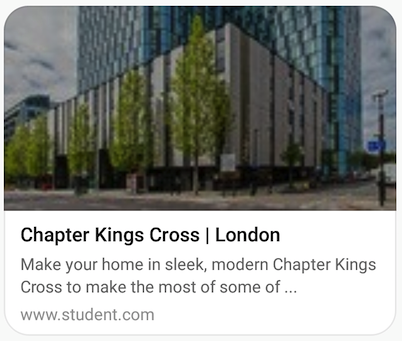 If the user is using a proxy or VPN, this location will be the location of their server, not the user’s actual location, so be careful assuming too much from a web chat user’s location. You will not see location information for Facebook or SMS users. You can choose either Google or AutoNavi maps from the menu. Google Maps are in English and Chinese and have global coverage, but are blocked in China. AutoNavi maps are not blocked in China, but only support Chinese language and have limited detail for locations outside of China. All conversation history for the user is preserved in the console. 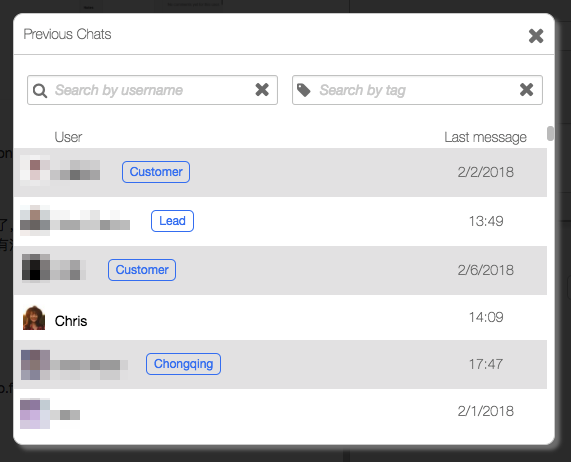 If the user recently chatted with your organization it may be helpful to quickly scroll up and review history so you can deliver more relevant service and customers don’t have to repeat themselves. You have a number of different options on how best to reply to a user, and you may use several different mediums in the course of a conversation, depending on the situation. The simplest method to reply is simply to type your response. Hit Enter to send your message or Shift + Enter for a line break. Your organization can prepare and store multilingual text for frequently-asked questions, organized by topics. Hover your mouse over a topic to reveal a list of stored replies. Hover over an individual reply to reveal the full text of the message. Click on a highlighted reply to load the stored text in your text editor. Double-click on the All button to load your organizations default reply. Double-click on any other topic to load the first reply for that subject. 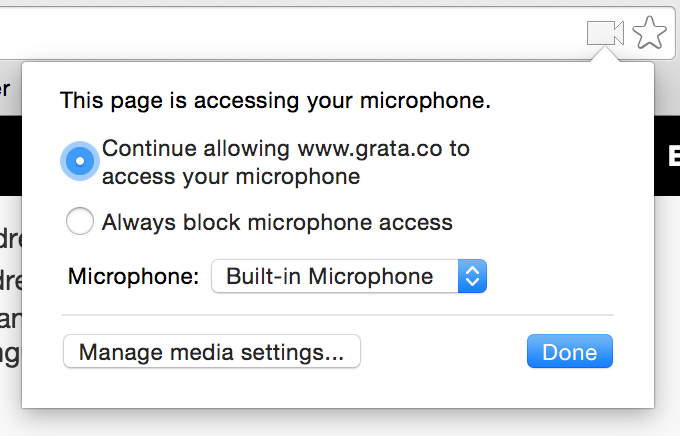 As long as you have a working microphone and have enabled the browser permission for audio, you can hold down on the microphone icon to record a message. Move the mouse away from the icon to cancel. If you don’t see the red bar moving up and down with your voice, your microphone may not be working properly. Make sure it is enabled in the browser and then reload your console. You should see the video icon below, or click on the Secure button next to the browser URL to enable the microphone permission. Or simply drag-and-drop an image over the chat window. The drop area is highlighted for you when dragging an image into the console. After adding your image to the console you will see a preview in the chat box. Click send to confirm, or click clear to remove the image. Your organization may use cards to share content with your customers. Cards contain a title, image, teaser text, and link to more content. 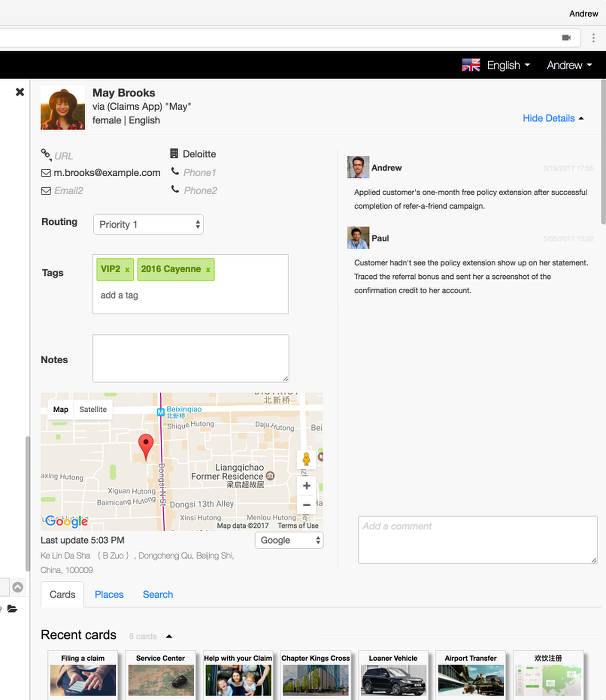 Cards can be multilingual – selected according to the user’s language – and multiple cards can be sent in one message (up to eight cards at one time). Simply drag-and-drop one or more cards into the chat box and click send. You can also click a card once to preview the card text and open the link. Click Add from the preview window to add the card to your chat editor. Cards are managed in the Grata Admin Panel. Forwarding a user closes your chat and sends the user back to the waitlist queue. If you accidentally claim a chat, or realize you’re not the best agent to answer, click the forward icon in the top right. If you just want to send the user back to the queue for all agents, you can simply click the Forward button at the bottom and ignore the other options. There are several optional parameters you can when forwarding a user. The first option is to select a specific group of agents to receive your forward. Your organization will need to setup routing groups (eg. 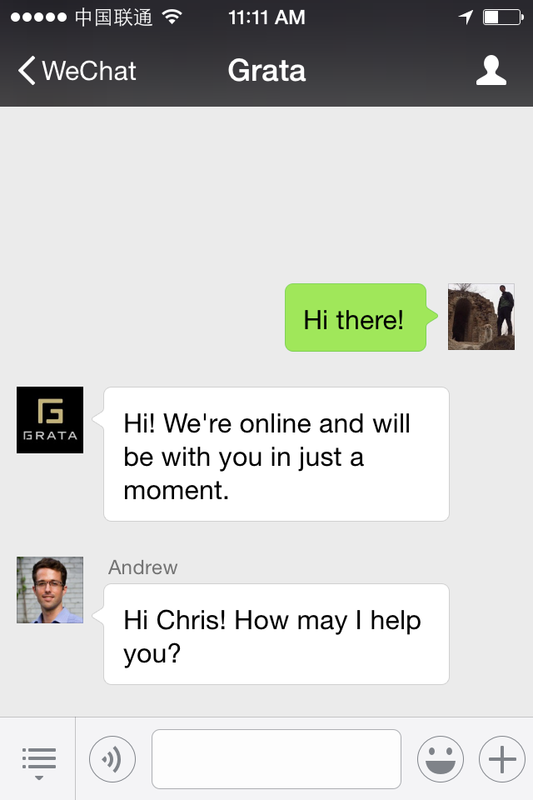 for sales and customer service teams) on the Grata backend to use this feature. After forwarding, the user will first be sent to only those agents and the name of the routing group will appear next to the user’s name in the waiting list drop-down menu view. as well as be copied to the chat thread. When you have finished a chat with a customer and have confirmed that she needs no further assistance, click the “X” at the top right of the chat panel to close the conversation. 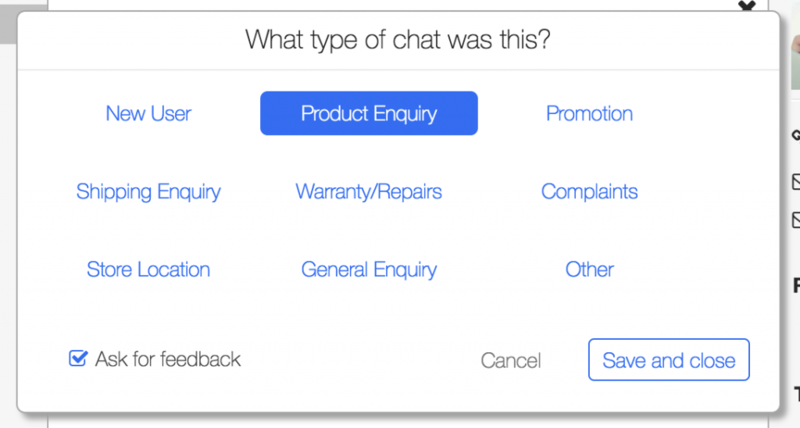 If your organization is tracking chat types, you’ll see a pop-up asking you to note the chat type and whether or not to send a customer satisfaction survey. You’ll be required to select a chat type to close the chat, you can decide whether or not to send the survey. Surveys are currently only supported in WeChat. We recommend getting in the habit of closing chats after the conversation has come to a natural conclusion. If you leave your workstation without signing-out or closing your computer, that chat session will still be assigned to you, meaning any new messages from the user will only go to you. Your admin can setup your Grata account rules to route back to the customer’s previous agent first. 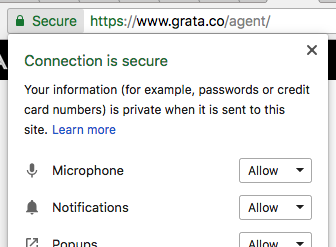 After giving the previous agent a chance to claim the chat again, Grata will then notify other agents. If you would like to re-open a chat you had with a previous customer, you can click on their name in the History section of the console side bar. History includes all of your chats for the previous twenty-four hours. 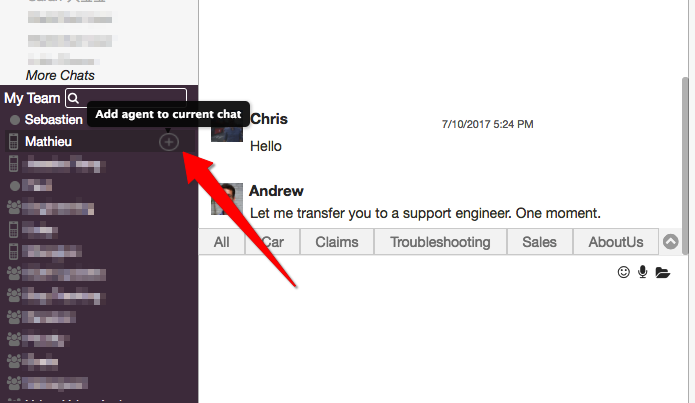 If you need to access an older chat you can click on More Chats to open all previous chats across your entire organization. You can search by username across the last 2,000 users or by tag across your entire database. Click the user to open the chat session in your console. Keep in mind when opening previous users that WeChat customer service sessions are only open for forty-eight hours from the time your customer sent you their last message. Your customer will not receive any messages from you if that session has expired and Grata will display in error message in the console. Facebook has a slightly different “24+1” policy, meaning you can message freely within 24 hours from the last message the user sent you, and outside of that window, you are able to send just one message to try to restart the conversation.